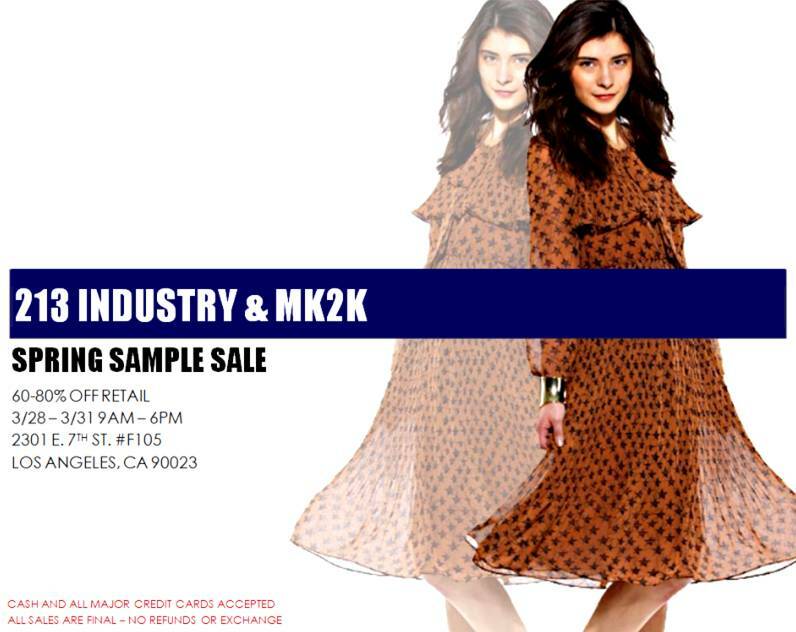 Starting today, 213 Industry and MK2K will be holding an amazing sample sale at their showroom in downtown LA. Expect 60-80% off spring and fall merchandise! I'm hoping to score and save big on 213 Industry's black lace maxi dress and eyelet jacket as well as on MK2K's sequined party tops and dresses. Nothing beats the exhilaration and rush of paying sample sale prices for covet list items! I've never heard of sample sales! I guess that's what I get for living in a non-awesome state like NM. Good luck snagging those deals! good luck! can't wait to see what you got! Uhhh, how exciting! If only I were in LA at the moment I'd be in heaven. One day . . .
Hi! My name is Francine and I work at 213 Industry. The sample sale is busy but I do believe we have that lace maxi dress ( one of my personal favorites! ;) Hope to see you here. Thanks so much for the mention! Thanks for you visit my dear,,, I loved your prior post. its just amazing... Followed you back..
Cheap Oakley Sunglasses Sale Daisy, Coach April, Coach Suize can be a ideal fit for modern ladies. Comfort and also style provided by the brand has earned it a lot of fans since its launch. Easy Coach logo and motifs adorn these glasses along with the corporation ensures while making use of the ethics on the merchandise diligently by emphasizing the color, material and style in conjunction with proportion and fit. Most men and women elect to purchase luxurious, simple, and sturdy shoes assuming over-use and terrible maintenance will not wear them out. They just do not think about the lifespan of shoes also rely on how well you take good care of them. You should not overlook your pair mainly because you obtained them on discount. Dansko shoes and other manufacturers last you a lifetime if you maintain and store them correctly. - Do not wait for the heels of shoes to come off before taking them to a cobbler for repair. If your pumps show early signs of damage, get them to the repair shop and have them fixed instantly.